3 things you need to know about the ECSG2017 opening night! Hi there everyone! 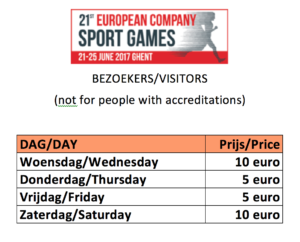 We can’t wait to get the 21st edition of the European Company Sport Games started :)! We are almost ready to receive more than 5.000 people from all corners of Europe in our beautiful city. We’re working our *sses of, but hey, it’s more than worth it, you’ll see! As we speak we are building a giant tent where our center stage will be! 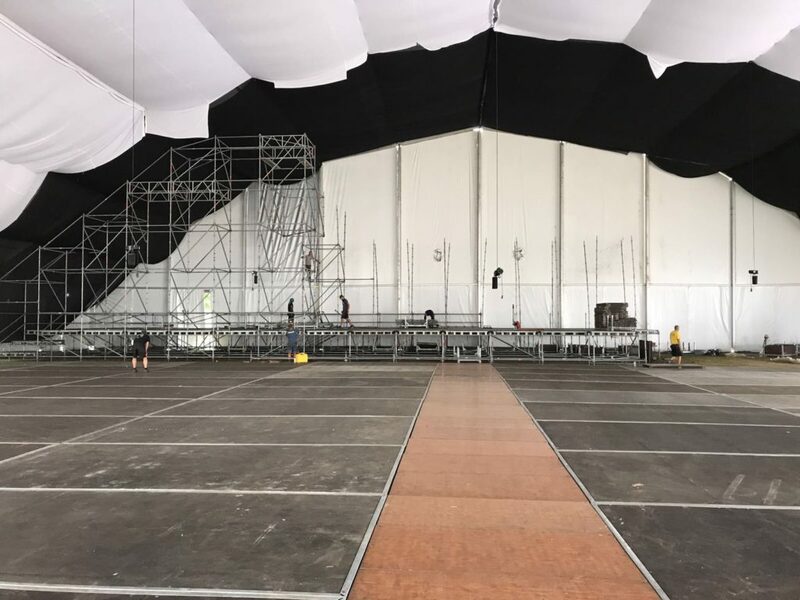 UPDATE: Tent = finished, building the stage right now :)! You can find this tent at the Bijloke Gent (Godshuizenlaan 2, 9000 Gent). In this location we’re not only hosting the opening ceremony but also the closing ceremony and animation on Thursday and Friday night! At Bijloke you can also find the meeting center and our delicious catering for those of you who have the food included :). Don’t forget: there will be free shuttles driving from Ghent Sint Pieter railway station to our meeting center Wednesday. From the moment you’ve picked up your accreditation, you can also use all public transport (trams and buses) for free! check the timetables here. 2. What’s going to happen on Wednesday? If you participated in ECSG or WCSG events in the past, you already know 🙂 … But if it’s your first time, you should know that you have to attend the ceremonies because it’s so much fun to meet your fellow countrymen AND other participants from all over Europe. 3. What about dinner & drinks? You don’t have to worry about good food and drinks at all, because we will have plenty of them :). Every night we’ll have a delicious buffet available in our meeting center. So yes indeed, daily dinner for participants is at the exact same location as the opening and closing ceremony. On Wednesday June 21st you can come dine starting at 18.00 p.m. If you come nice and early, you’ll be more than on time for the opening ceremony. Haven’t registered yet for dinner but fancy dining at the meeting center with your colleagues? You and your friends can still buy last minute food tickets when you’re visiting the meeting center so you can join the others! You have friends/colleagues without(!) an accreditation? This entry was tagged General Info, Opening Ceremony. Bookmark the permalink. ← Website now also available in French and German!